BSA Medical Form This is the new BSA medical form #680‐001. EVERYONE needs to have one completed each year. It is only valid for ONE year. 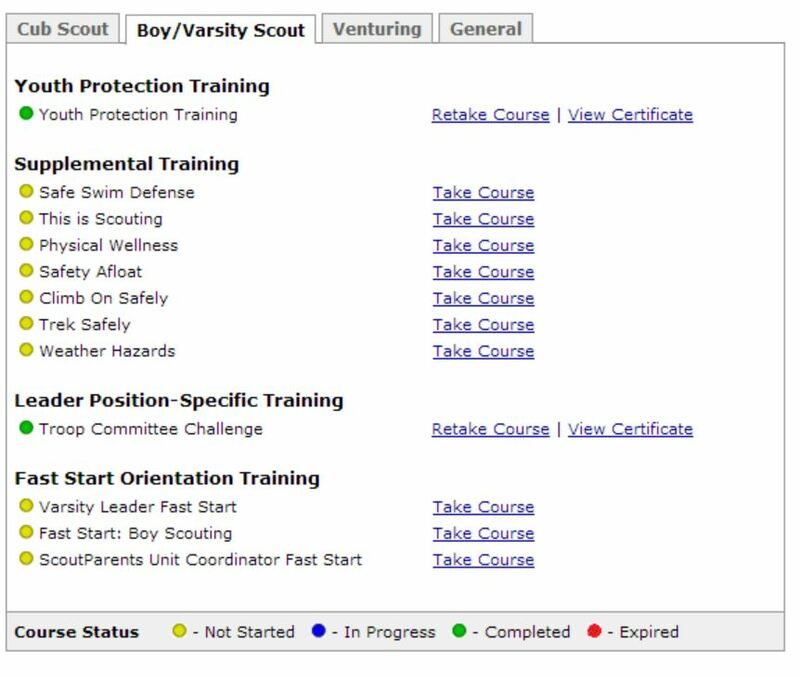 Enter through the “My Scouting Portal” and look on the Menu for e-learning. Click on the Boy/Varsity Scout Tab. The course takes about 20 minutes.